EmpireCovers.com is sponsoring a giveaway for one of my readers. EmpireCovers.com has a great selection of covers for all types of needs. They have Empire car covers as well as other types of Vehicle Covers, Bike Covers, Boat Covers, Sports Covers and RV Covers. They also carry a selection of car accessories. One of my readers will win an American Armor Car Cover. 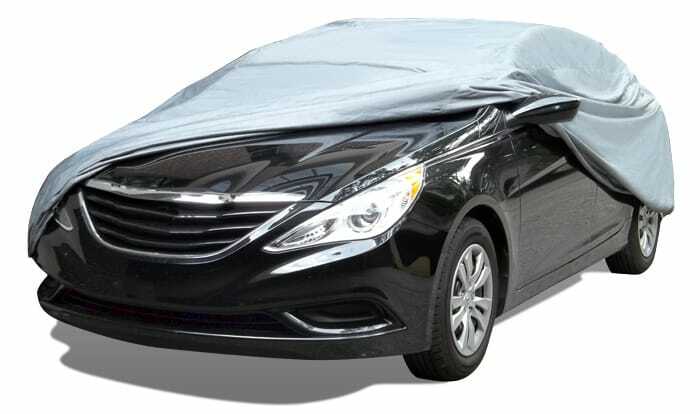 Ultra lightweight and ultra soft, the American Armor car cover will repel sun and rain while pampering your paint. The cover is 100% waterproof, and features an incredibly soft micro-fiber lining. The Dupont Tyvek outer layer stands up to strong UV rays and downpours. The American Armor cover is an all-american product, manufactured entirely in the USA, and is exclusive to EmpireCovers.com. Like all our covers, it features a full elastic hem, and is breathable to prevent mold and mildew growth. This cover comes with a FREE mesh storage bag (a $9.99 value) and FREE gust guard (a $14.99 value). The giveaway starts right now and will run until January 27th, 2012 at 11:59pm. This giveaway item was provided by Empirecovers.com. White! I have a scion xb and I am sooo in love with it, but I really want to get it painted white! American Armor Car Cover looked very nice cover. I like the bluish color. And I love how the cover is being used to protect the car from the sunlight or rainy weather. Although I am not eligible for the giveaway, I would like to say good luck to the givewaway's winner. Myt dream car would be blue!